Growing up Loyal always had pets, Cats, dogs, ducks, monkeys to mention a few, as long as he took care of them, he could keep them. At a young age Loyal was introduced to dog training, He often went with his uncle to train his yellow Lab Tammy, who later went on to win the Canadian Championship in retrieval. from that point on, he was sold on dogs. and realized how smart they could be with proper training and commitment. AlI his adult life he has never been without a dog, today he has four dogs. 2 mastiffs, black lab and a German Shepherd and he takes them with him wherever he goes. 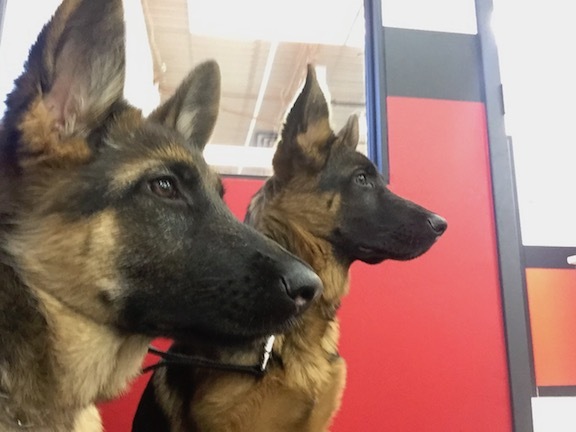 Finally after years of wanting to train dogs, He researched dog training and after reading reviews, decided to enrol at the Canadian Canine Training Academy to finally learn how to train dogs the right way. Since successfully completing the Professional Dog Training course after learning so much about dogs from dog obedience to dog psychology, Loyal now has the knowledge and tools needed to make his dream of training dogs a reality and he really enjoys helping dog owners bring out the best in their dogs. Call Loyal Now! For a Free Training Evaluation!